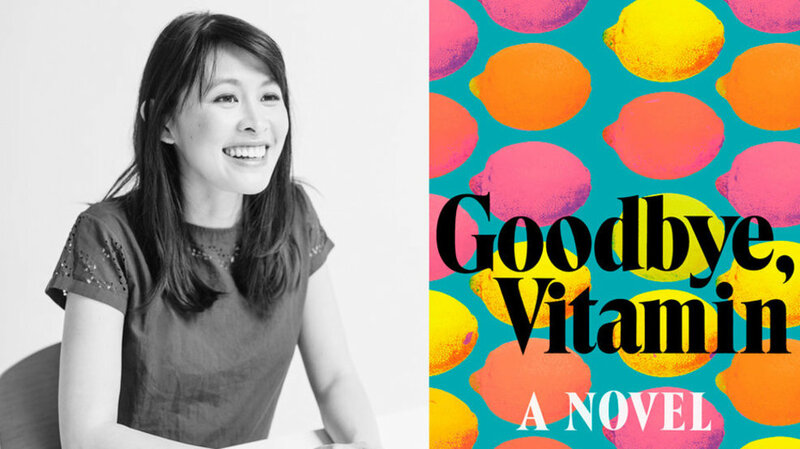 This past August, our book of the month was 'Goodbye, Vitamin' by Rachel Khong. It coincided perfectly with Khong's book tour through Seattle, and we got a couple minutes with debut author. Seattle Refined: The opening line of the book catches you, right away! Where did that scene come from? Rachel Khong: I think it just one of those images that came to me out of nowhere. Sometimes when you are writing you are surprised by things that happen! So, that was one of those images where I had the branders of the scene, I guess. It was around Christmas-time, she was home for the holidays and I just had this flash, 'Oh, his pants are in the tree, they’re lit with Christmas lights and this is how the man noticed them because they were all illuminated!' And it struck me as funny and weird. Where did the idea for the book come from, in general? The novel really came out of a short story I had written, and it came out of Ruth as a protagonist and the narrator. It came out of a short story I had written about her life and career as an ultrasound technician at this medical center, but also her relationship with an alcoholic fisherman, completely unrelated to the book. It was my first time writing in the first person from Ruth’s perspective and I just really enjoyed being in her voice and talking through her I guess. Did the humor help you write it? I think that the humor was maybe a matter of personal preference. Everyone will come to this with a different preference and tolerance, and I’m sure people will think this is too light or doesn’t treat this disease with enough gravity - but for me, this humor was essential to the way this story was told. It’s quite a mix, I wanted it to be about real life and all the things that happen in real life. It isn’t easy to separate all the things going on in one’s life- all the things you’re juggling in your head. When I’m reading, I want that balance of heartbreak and humor. I want to be laughing one second and weeping the next second. Because I think that’s the way life is and the way we experience life, and it isn’t all just purely one emotion. Do you relate to Ruth? She can’t quite look forward to the future, she’s not totally happy with the past and what that has looked like. She feels as though things she’s done, relationships she’s had, have been a bit of a waste. She feels really heartbroken about them. So, all she really has is the present moment and she’s trying to understand how to go on living with these two things. With her future in such flux and with her past as a sore spot for her I guess. So, I really wanted this book to be about feeling ok in the present that you have and trying to connect with people when memory can be a thing that drives us apart. I don’t think she’s going through it more than any of us. But I do think it’s rare books decide to tackle all of it. At the core, what do you think this book is about? This book is not so much about things that happen, it’s really just a snapshot of this year and the really subtle changes and shifts that happen between people. I was really interested in looking at that and how things can change in really subtle ways between people, even from day to day, and what that looks like was really interesting to me. More interesting to me than deciding Ruth was going to go on a cross-country adventure or something like that. I came to writing as a reader and because I loved my chapter books. And I wanted to write them. But, I’m also the daughter of immigrants and I could never tell my parents I want to be a novelist because that’s a little bit crazy, nobody gets to do that. That’s not very practical. And they were already raising their eyebrows a little bit that I didn’t want to be a doctor or an engineer or something, which I would have not been good at. Any initial feedback from readers? I have heard from readers who have personal experience with this and I had someone who said he started the book and then once he realized what it would be about, had to put it down for a little while because his father went through it really recently. Near the end of his life, really didn’t know who he was anymore. And, so that was really difficult for him to watch in real life and when he started the book, he thought, I can’t really do this right now. It’s a little too intense. It’s a little too much. But then he said, he picked it back up and continued, and found that the humor in the situation did feel real to him and felt like it helped. I’ve gotten that reaction a few times - that the subject matter seemed very heavy and tough, especially for someone who’s gone through that and seen it first hand. But I think I really wanted the book to be more about memory than about this disease in particular, so even if you’ve been through this recently, as I kind of have and as my family has, this book is not about the overwhelming sadness of that situation, you know it’s coming, you know it’s inevitable, but it’s really more about that moment right before, it’s about all of our memories and how they’re all faulty, and examining that and not so much here’s this terrible disease. Because it is terrible. And I could see why it would be really hard to read about if you’ve just been through it. The title kind of came from, even early on, a lot of preoccupation with trying to control this really uncontrollable thing, usually through diet. So, Ruth and her mom are both trying to figure out ways to slow the disease, or really just exert some kind of control over this fact that, this disease that is inevitably going to get worse. There’s no way out of it, but I think that sometimes when you’re faced with something that is hopeless, you want to try to do something to make it better, or whatever you can, right? Ruth and her mom are really interested in supplements and vitamins. At one point early on, Ruth’s mom, Annie, is sort of talking to a vitamin, “No you’re expensive.” They’re all kind of a little bit off the rails. And, so "Goodbye, Vitamin" is just quite literally one of the final lines in the book where the father is jokingly talking to his own vitamins, he’s talking to the water, he’s talking to the vitamin. And, I actually had a different title when I started writing the book, which was "Hello, Vitamin", which I thought was just too happy. So, I had to change it and experimented actually with a lot of different versions of goodbye.